The FDA defines extractables as ‘compounds that can be extracted from a container closure system when in the presence of a solvent’, and leachables as ‘compounds that leach into the drug product formulation from the container closure as a result of direct contact with the formulation’. These definitions refer to finished container closure systems; however, they may also be extended to consider extractables as chemicals generated under exaggerated temperature and time conditions in the presence of an appropriate solvent, and leachables as chemicals that migrate spontaneously from a container closure system, packaging components and/or processing equipment under recommended or routine conditions of use and storage. The importance of these substances is that they may pose a safety risk to the patient either directly, or indirectly by altering the product’s physico-chemical properties through interactions with the API or excipients at any point during manufacture or processing, thereby adversely affecting product quality. Knowing the compatibility of pharmaceutical products and contact materials helps pharmaceutical, toxicology, analytical and regulatory affairs professionals to assess the safety of leachable and extractable chemicals associated with drug product packaging, manufacturing systems and devices. 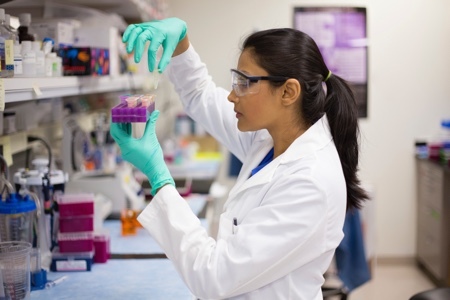 In the pharmaceutical industry, the conventional product development process uses an empirical approach that requires continuous end-product testing and inspection to determine quality. The processes that create the end product are seen as fixed, averse to change, and focus only on process reproducibility. This approach ignores real-world variability in materials and process controls. The industry is now adopting a different path: QbD. This starts early in any pharmaceutical process to manage continuous improvement of the process itself and of quality. With QbD, a proactive approach to product development is defined from the outset of a project, with the aim of reducing FDA queries and review time, and to accumulate scientific data throughout the process, so as to be able to assess the causes of, and swiftly resolve any deviation. Understanding processes is the key to defining the so-called ‘design space’. ICH Q8 defines design space as an ‘established multidimensional combination and interaction of material attributes and/or process parameters demonstrated to provide assurance of quality’. Critical process parameters are identified by determining the extent to which any process variation can affect the quality of the product. If a design space can be established for a pharmaceutical process or product, then operation within the defined parameters confirms that the product or process output possesses the required quality attributes. This concept of design space can be applied to the safety and leachables risk assessment of drug products manufactured in single-use or disposable equipment. The more information generated on the impact – or lack of impact – of a component or process on a product’s quality, safety or efficacy, the more business flexibility QbD provides. By formalising product design and automating manual testing, this approach ensures quality by developing a thorough understanding of the compatibility of a finished product to all of the components and processes involved in manufacturing that product. Instead of relying on finished product testing alone, QbD provides insights upstream throughout the development process. Despite the many financial and operational benefits of QbD, and even with the FDA’s recommendations, not all companies have adopted this approach, choosing to disregard the adage, ‘you either pay now, or pay later’. Implementing QbD at the beginning of the development phase requires a dedicated, disciplined, and sustained commitment by an organisation and an understanding of the effort necessary to implement QbD is a key component to successful adoption. Some of the most common barriers to adoption seen within the industry include a lack of resources and expertise in QbD, insufficient understanding of how a process can benefit, competing priorities, resistance to change, and the denial of a need to review a process, believing it to be under control. A sense of urgency now exists as the FDA has begun strongly encouraging all drug product applicants to use QbD and deficiency letters will now explicitly cite the lack of QbD. FDA Warning Letters can spell big trouble for medical device manufacturers and pharmaceutical companies that have established their businesses within the US, as they expose companies to negative publicity and reputation damage, the risk of loss of business and customers, delay in approvals, and even civil and criminal litigation by the FDA. Design controls: There must be established procedures and well-trained personnel involved in design control. All activities in design control for drugs and devices must be documented. Any changes in devices must be evaluated to determine if they would require a submission to the FDA through 510(k), Premarket Approval Application (PMA), New Drug Application (NDA), or the Abbreviated New Drug Application (ANDA) process for further approval or clearance. Risk management: The FDA refers to ISO 14971 and ICH Q9 ‘quality risk management’, which mandates a risk management approach to designing and managing medical devices and drug products. Companies need to assess any risk to public health within their design controls arena. They must evaluate risk in corrective and preventative action (CAPA) handling, root-cause determination and design validation. The Hazard Analysis Critical Control Point (HACCP) in production and process controls must also be well established. The emphasis must be on a balanced and scientific assessment, management and documentation of risks involved in devices and drugs. E&L – chemical interactions: Modern polymeric materials are mostly complex compositions charged with a variety of additives in addition to monomer, solvent and catalyst residues in which both chemical interactions and other physical phenomena may be expected to occur. In polymer chemistry, compounds consist of the base polymer and additives, selected to achieve a set of final properties. Polymers and additives can interact with each other and with their environment to produce significant alterations in chemical composition. Such reactions include, but are not limited to, polymer-polymer reactions, thermal and photo-oxidation, degradation, thermal decomposition, physical adsorption of additives and the carryover of impurities in the processing of the polymer. Plastic polymers have chemical reaction properties similar to those of small molecules, although the polymers themselves are much larger. This means that a range of factors, including thermal conditions, stress cracking, oxidation, or the diffusion of chemical additives, can alter the molecular structure, and thus the fundamental properties of most plastic polymer materials. Minor chemical changes of qualitative and quantitative polymer chemical composition could have an impact on leachables levels in extracts. Because the nature of polymers is so broad, and plastics are highly versatile and used for many different applications, each E&L study must be individually designed and extraction conditions that are suited to the application selected. The polymer should not be dissolved or delaminated by the extraction conditions applied. 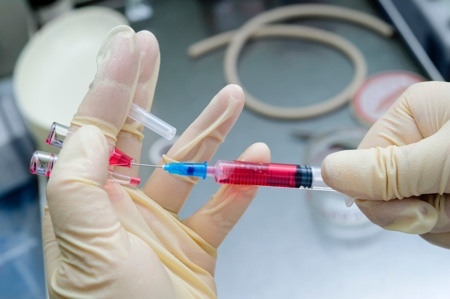 ISO 10993 would appear to give the best instruction, ‘How to perform extractables studies’, but this norm is applicable only to medical products or devices. As collective knowledge and experience in this area increases, it is inevitable that some relevant appendices are needed or adjustments necessary to make the norm applicable for medical products, single-use systems and finished containers. Standard extractables protocols as recommended by the Bio-Process Systems Alliance (BPSA) and Biophorum Operations Group (BPOG) are not sufficient for materials qualification, and so minor modification of the ISO 10993 norm would offer the best guidance to design E&L studies for disposables. 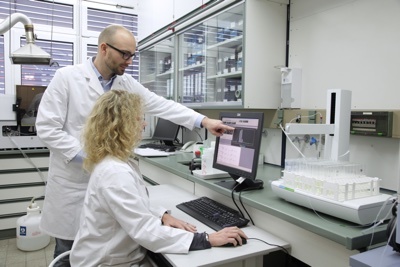 The Product Quality Research Institute (PQRI) approach can be applied across various parts of the process, from inhaler components to finished packaging. Pharmaceutical teams should be composed of scientists across many disciplines both to systematically define the design controls and to carry out the qualification work. It is crucial that all scientific assessments are experience driven so as to account for the formal GMP criteria. Disposable equipment made from polymeric materials is increasingly being used in the production of pharmaceutical products. Sterile filters are routinely used in aseptic processing steps, media bags are replacing stainless steel tanks or carboys, elastomeric tubing is used for product transfers, and the final product is filled into plastic containers via blow-fill-seal technology. As with any polymeric material in a pharmaceutical process, its use must be appropriately validated. One aspect of this validation includes proving that the filters, storage vessels or tubing do not contribute significant amounts of toxic or deleterious substances to the final product. This requires an improved and frequent communication between single-use system (SUS) suppliers and drug product vendors. Traditional equipment is usually located physically close to the pharma facility; however, single-use materials must be delivered to the end user to operate ‘just in time’. 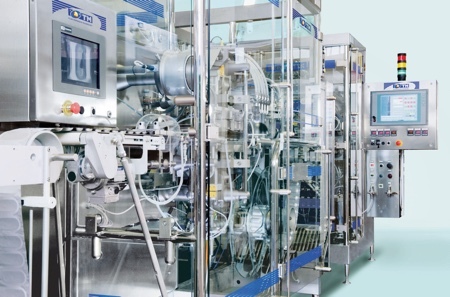 Consequently, the SUS becomes a critical part of the pharmaceutical manufacturing system and also part of process qualification procedures applied by the end user. In addition, the risk of interaction between the drug and the various polymeric materials present is increased. 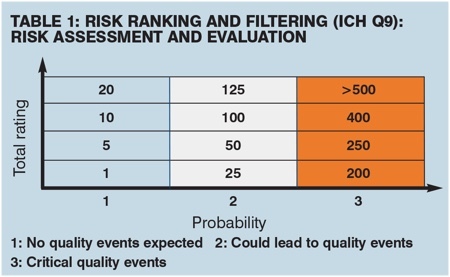 This risk could be minimised by establishing effective controls at the supplier’s side to sustain quality in the chemical profile over a longer-term period. Once a disposable material has been qualified by the end user regarding extractables, the onus is on the supplier to deliver products of equal quality in respect of chemical profile. The greatest risk of impact to the qualified status of a material is from unintentional added impurities to the plastic starting raw materials or by carryover from processing. 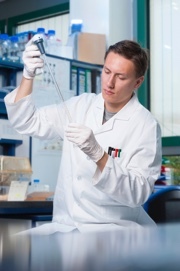 Sterilisation using gamma irradiation or other means can potentially modify the chemical extractables profile and so information as to the chemical compatibility of materials against chemical conditions should be generated by suppliers, and the QC processes of suppliers need strict monitoring. In conclusion, most extractable and leachable chemical substances of toxicological concern are sourced from chemicals added unintentionally, either as impurities in the starting materials or as materials extracted or leached from single-use or disposable equipment used in the drug product manufacturing process. The regulatory authorities are aware of this problem and are emphasising the need for better controls at the appropriate points in the supply chain during manufacturing. 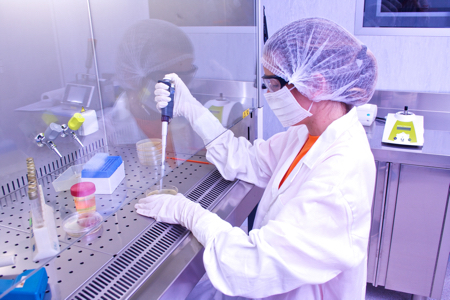 SGS Life Science Services has developed a range of testing procedures for the evaluation and qualification of E&L to meet these requirements. The company has also developed a number of procedures for the evaluation and qualification of E&L in pharmaceutical packaging, which will be reviewed in a future article.